Today we’ve released a new sound library of freshly recorded field recordings. It’s called Concourse Crowds, and it is available now, competely free of charge. This post will share info about the new collection, and how it may help you in your projects. 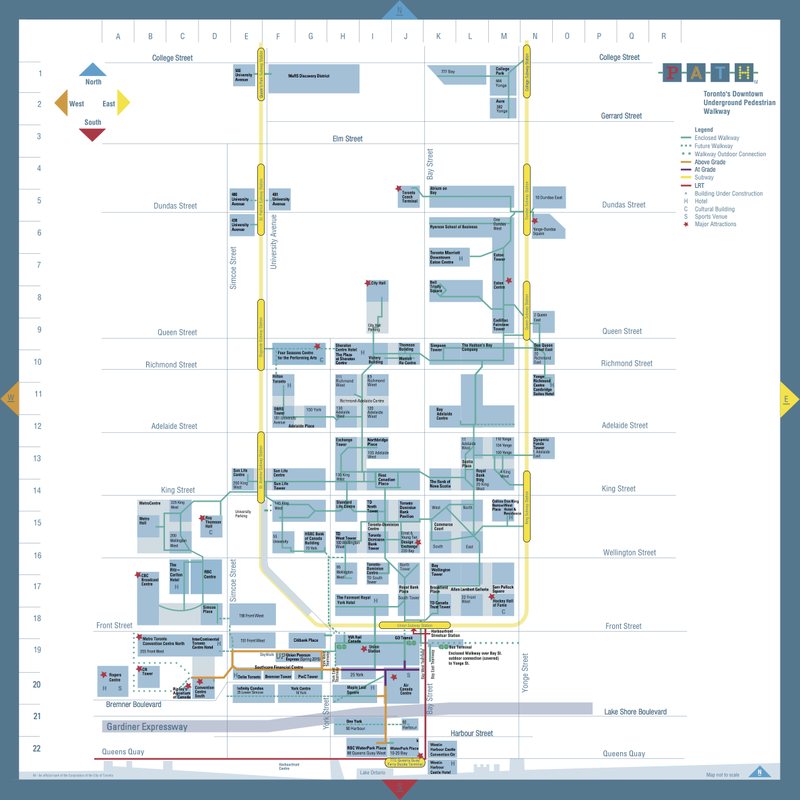 The heart of Toronto’s financial district features a sprawling underground labyrinth of 29 kilometers (18 miles) of tunnels. Known as the PATH, these dense, twisting walkways link the towers of Canada’s corporate capital. They’re not the grimy underground tunnels you may be imagining. Instead, these paths are lined with ritzy shops and boutique restaurants. They also link to major train and subway stations. So, every day the PATH is flooded with thousands of commuters streaming their way to banks and investment firms. 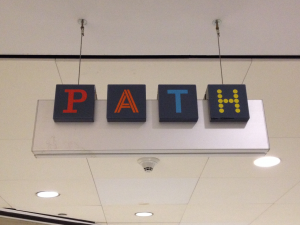 The density of the PATH system creates a great opportunity for sound effects field recording. A four square block radius presents a widely diverse collection of crowds and pedestrians tucked away from the elements: heavy gushing rush hour crowds to light trickles of footsteps in tight hallways to wide atriums. Some areas feature corporate conversations. Others are silent except for the bustle and footsteps of classy, sophisticated commuters rushing to work. The Concourse Crowds sound libraries captures this small area of Toronto in 25 sounds in 1.69 gigabytes. 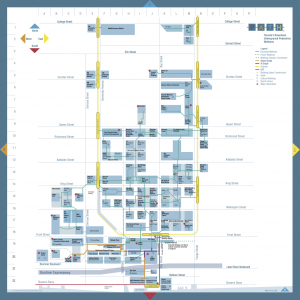 It features a variety of density: thousands of commuters, a handful of pedestrians, and amounts in between. There are wide lobbies and narrow passageways. The collection includes tracks with voices, footstep-dominant selections, and a mix. The Concourse Crowds sound clips were recorded to provide you texture and energy. They’re not meant to be headlining tracks. Instead, dip the volume and slip them behind your other audio to fill out your scenes. The wash of thousands of pedestrians will thicken a track. High heels and footsteps will add crisp texture to your soundtrack. Muted financial conversations with occassional business lingo will compliment more refined scenes. 18 fields of Soundminer metadata. Sounds professionally recorded, diligently mastered, and curated by career sound librarians. Learn more about the Concourse Crowds sound collection, or click the button below to add it to your cart. The sound effects are free of charge. Use them however you like. We only ask that you do not share them elsewhere, even free of charge. Commuter Crowds joins our other free atmosphere sound libraries, Ambience (15 sounds, 1.36 gigabytes) and Crowds (10 sounds, 908 megabytes). Learn more about Concourse Crowds. Does this library interest you? If so, please consider helping us spread the word. This will help others use fresh sound fx in their projects, too. You can do this by clicking the Tweet button below. You can also follow us on Twitter, join the free email newsletter, or the RSS feed.